"One thousand brides. One hundred million dollars. Jimmie Shannon is about to discover the true value of love." In this comedy, Jimmie is a happy bachelor never really wanting to marry. When he does decide maybe it's time to propose to his girlfriend Anne of three years, he messes it up and Anne decides Jimmie just isn't ready for marriage. After another failed proposal, Anne leaves for a business trip. While Anne is gone, Jimmie's grandfather dies and he finds out he has left him the family business and $100 million dollars. The only catch is Jimmie needs to be married by 6:05pm on his 30th birthday. The problem is his 30th birthday is the next day. In order to keep the family business and get his inheritance he needs to find a bride. With Anne out if town, Jimmie needs to find a bride fast. In his attempts to contact old girlfriends and propose, he and his friends also try and find Anne. Jimmie realizes he really only wants to marry Anne, but will he have enough time, or will he end up having to marry one of the other of hundreds of women who find out he needs a wife? 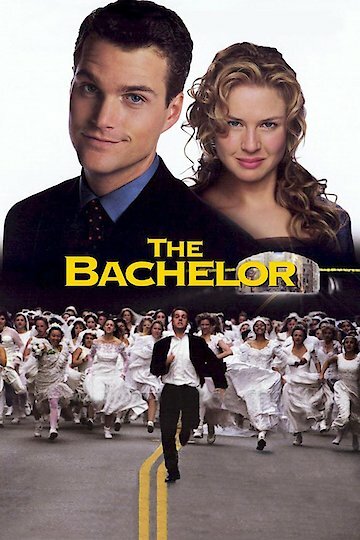 The Bachelor is currently available to watch and stream, buy on demand at Vudu, Google Play, iTunes, YouTube VOD online.